I was eating frosted animal cookies over the weekend and I couldn't help but wonder why there wasn't a frosted flamingo in the bag! 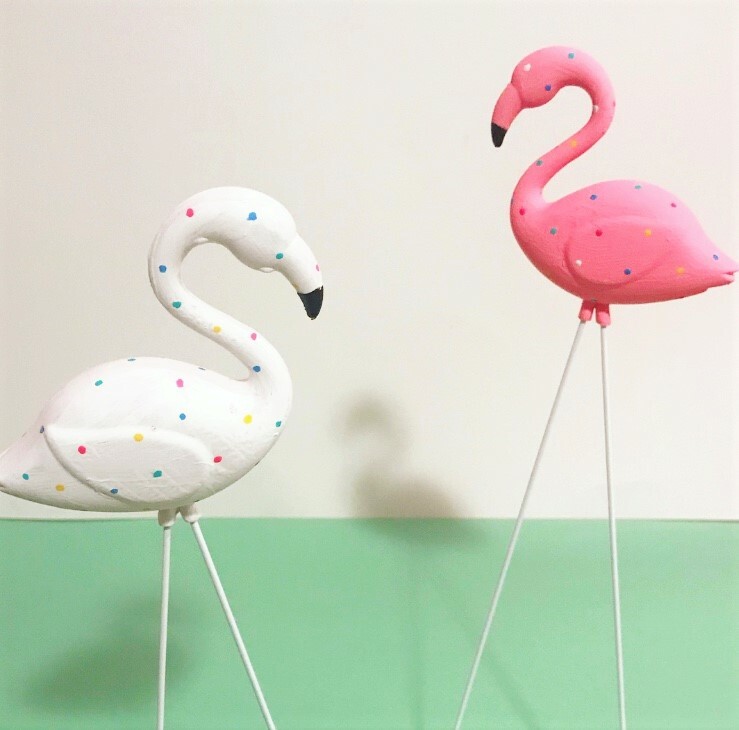 I decided to grab a few of my plastic lawn flamingos and create an ode to one of the cutest animals out there! Read on for the SUPER EASY step by step tutorial! Acrylic Paint - You'll need light pink and white for the body and some bright colors for the "sprinkles"! Step One: Paint the flamingos light pink and white to represent the animal cookie frosting. Even though the flamingos are already pink, I think the paint gives them more of a finish look. I did 3 coats on each side and was careful not to cover the black part of the beak. If you get some paint on the black, you can use your permanent marker to touch up at the end! Step Two: Make your sprinkles by dipping the tip of a toothpick into the various colors of paint. I poured penny sized paint puddles of each color onto a paper plate and used one side of a toothpick for each color. Continue this step until your flamingo is covered with sprinkles. Let dry and repeat step on the other side. Once you are finished with this step, fill in the beak with permanent marker (optional) and attach the flamingo legs! I hope you enjoyed this DIY! I've gotta go cover my front lawn with flamingos! If you liked this summer project, check out more of my DIYs here! 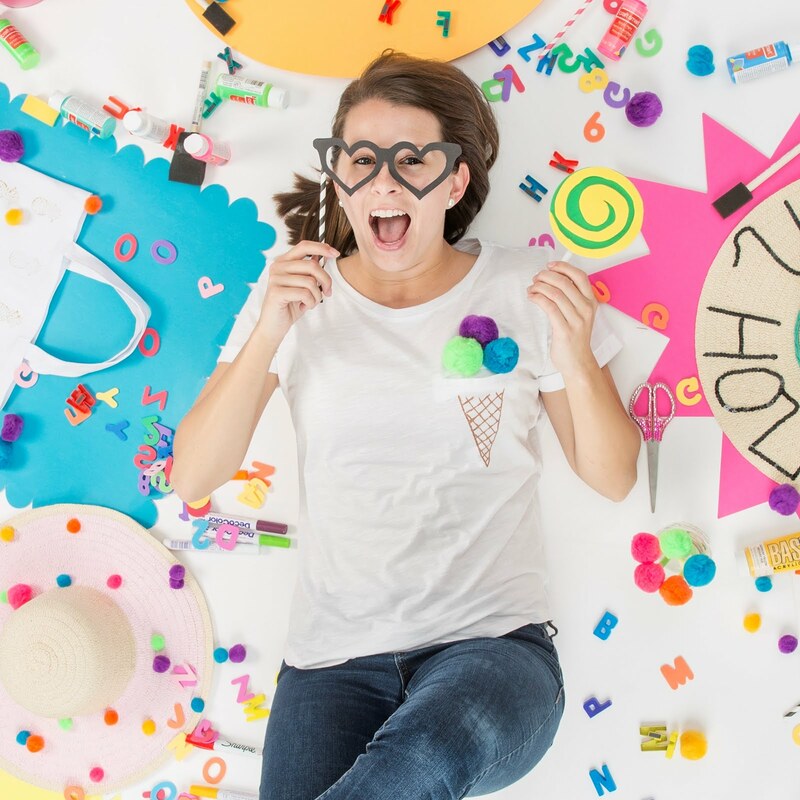 DIY Pop it Like it's Hot Popcorn Boxes!